You’ve found our Drawing In Perspective mini-series! 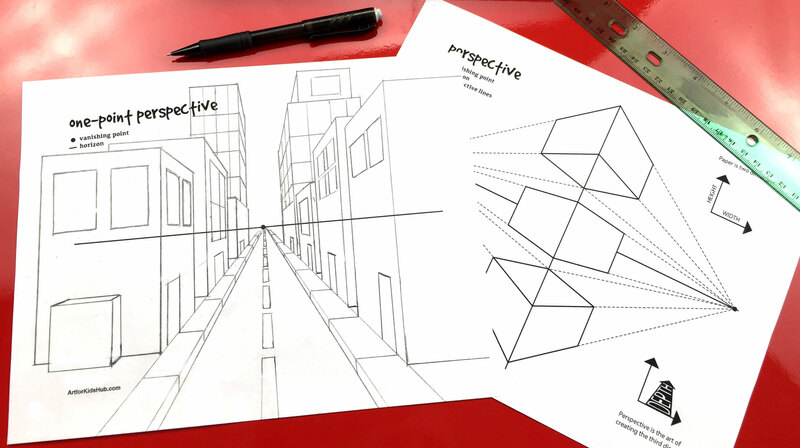 This is a super fun three-part lesson course that introduces the basics of one-point, two-point, and three-point perspective. After completing these lessons your kids will be well on their way to creating amazing three-dimensional artwork. Signup and become a member today to gain instant access to this course.